The Hootie Bluetooth Speaker features two 5¼" woofers, a volume knob, and a simple on/off switch. The speakers are driven by a compact, yet powerful 2x30W amplifier connected to a Bluetooth 4.0 receiver. Connect any Bluetooth enabled device in seconds and enjoy high quality sound out of this equally beautiful wireless speaker system. 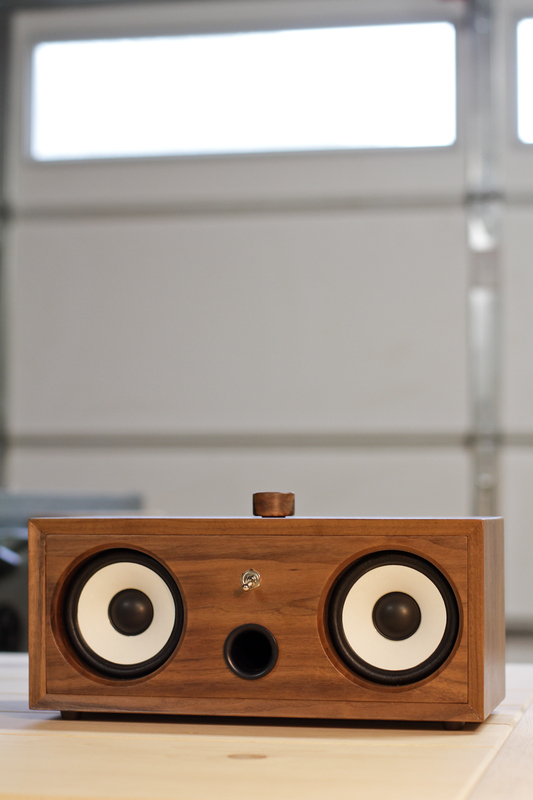 The Hootie Speakers pictured are made from solid Walnut and Maple, but they can be custom made with any type of wood desired. Check out the video below to see and hear The Hootie in action. Questions, comments, or interested in purchasing?